While your executive rental property gardens and outdoor spaces will need maintenance and care year-round to remain functional and visually appealing, many homeowners find that autumn and winter time brings a whole host of additional chores to a job that may already take up time and effort. 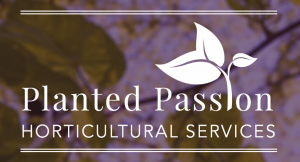 When garden clean ups get too overwhelming, it’s no secret that hiring a professional team can alleviate the pressure: Planted Passion. Why clean up your garden in the colder months? As the weather turns, many of us tend to spend less and less time outdoors and this makes it easier for outdoor spaces to fall into disrepair. Colder climates can play host to a range of issues, from weeds seeding to pest infestations, so maintaining care can offer more benefits than simply keeping the space looking good. This can be especially true for native Australian gardens, where indigenous flora and fauna and fuller landscapes may be in need of even more attention. Clearing your garden when seasonal changes occur could help you to deter pests, as well as allow you to minimise the potential for disease to spread. Raking up old leaves and other general debris can clear new and exciting hiding places for a range of unwanted insects and animals – not to mention sanitising ideal breeding grounds for bacteria and fungal spores that could go on to infect plants that are ready to grow when the weather begins to warm back up again. Keeping on top of compost piles can also prevent unwanted issues from occurring, such as mould and the germination of unwanted seeds. Aside from the above, generally maintaining your outdoor space throughout colder months (in terms of cleaning up vegetable beds, weeding and pruning) can offer you a clean slate come spring, saving you both time and effort when the time comes to both plant and replant. One of the main things to consider when cleaning an outdoor space of any kind is the size of the job, your experience in gardening and even how often you should be taking care of chores. In many instances, homeowners turn to professional garden clean up services to help them to manage the tasks involved – and these can both be varied to suit your needs, as well as be scheduled for maximum effect. Professionals will understand the needs of your space and will be able to offer advice on what to clear and when, what to plant and even how to make the most of both the functionality and the aesthetics of your landscape. © 2019 Executive Rentals | Smackall Real Estate.